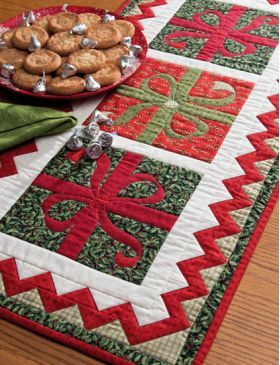 In this rich collection of Christmas patterns, you'll find festive quilts to deck the halls--and mantels, tables, floors, and more! These projects include delightful designs for children as well, so you'll soon have everyone dreaming of Christmas! 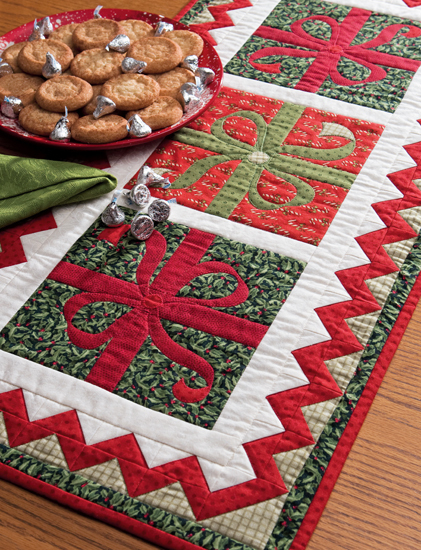 Quilt yourself a merry little Christmas! 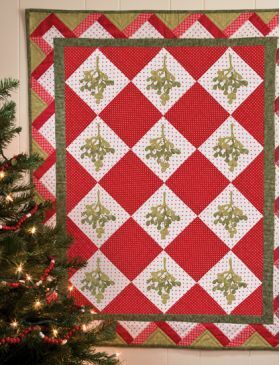 Deck the Halls: Quilts to Celebrate Christmas packs in a collection of Christmas patterns for the home: everything from mantels and tables to doors. 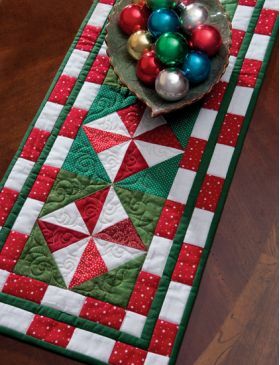 Ten projects for decorating or gifts offer pieced and appliqued projects replete with all kinds of interesting motifs, in full color. 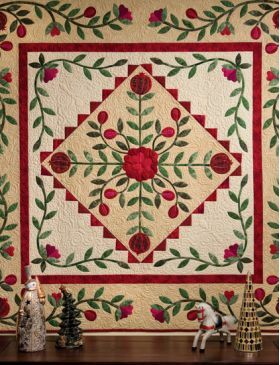 If you need a quilting book for Christmas, this is it. 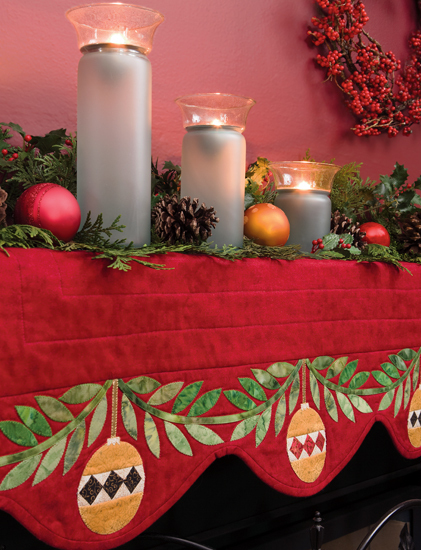 Deck the Halls is a series of several projects to celebrate the holiday season. The author, Cheryl Almgren Taylor, does an amazing job of picking fabrics to compliment the homey designs of her quilts. 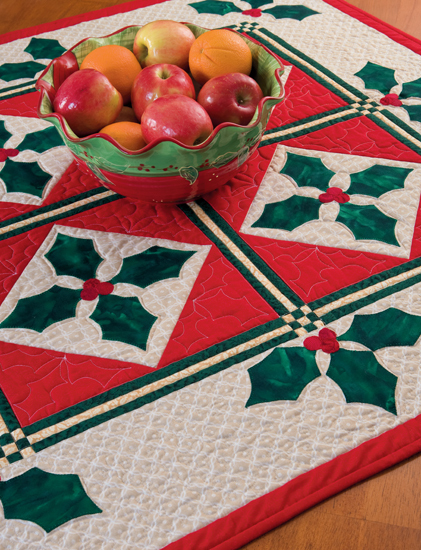 From table runners to wall hangings, these quilts embody the spirit of Christmas. This book is a perfect gift for the quilter in your household, or to have in your own personal crafting library. 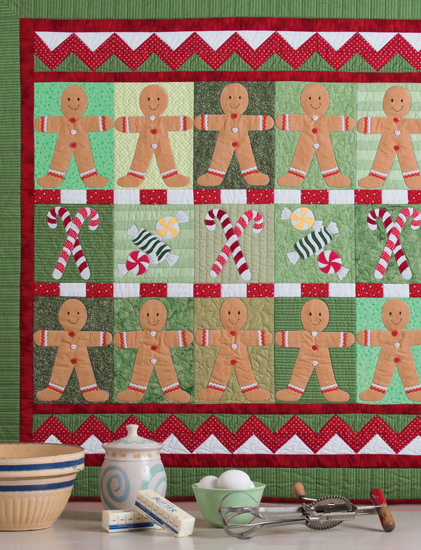 This one is a keeper and the quilts made from it will warm your heart for years to come. 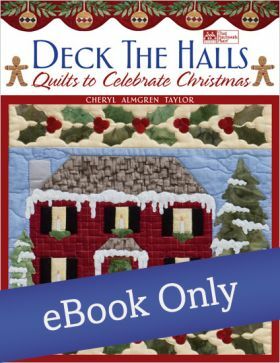 Deck the Halls: Quilts to Celebrate Christmas by Cheryl Almgren Taylor is a beautiful volume that includes a variety of festive holiday projects. 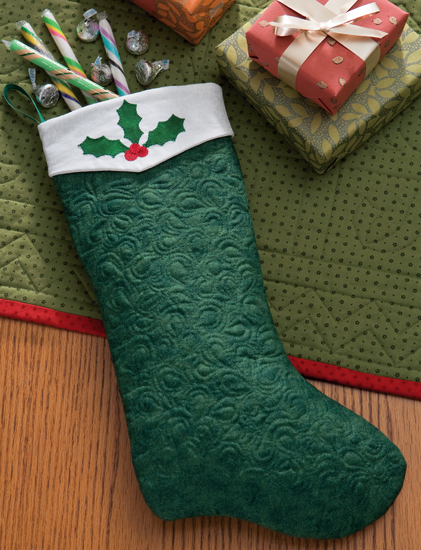 Besides wall quilts to celebrate the season, there’s a door banner to welcome your holiday guests, a mantel runner to decorate your hearth, toppers and runners to make your table extra special, and an elegant quilted stocking for Santa to fill. 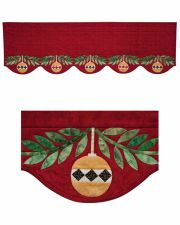 Most of the patterns include appliqué, because as Cheryl puts it, “I love the shapes and the graceful curves you can create, as well as the flexibility the technique provides.” Of course you can use your favorite form of appliqué, but Cheryl gives you full illustrated instructions for the fusible-web machine method, and has even reversed the patterns for you. That’s a real convenience. The book also includes a whole section of basic information about fabrics, threads, sewing machines, needles, tools, etc. That’s before you even get to the Quiltmaking Basics: rotary cutting, fusible web appliqué, pre-assembly, bias vines, and even paper piecing. 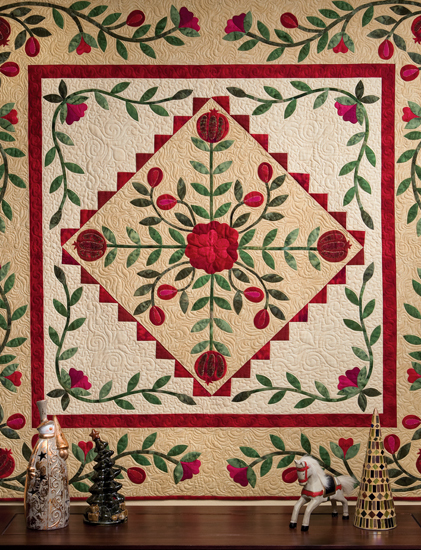 Cheryl Almgren Taylor learned to sew at the age of 13 but didn't begin quilting until 2000. Soon after creating her first quilt, she began designing her own patterns. Her first pattern series, Storybook Snugglers, debuted in 2007 and was followed by a book of Christmas quilts, Deck the Halls, in 2009, all published by Martingale & Company. Her beautiful work has also appeared in publications such as Quick Quilts and McCall's Quilting. 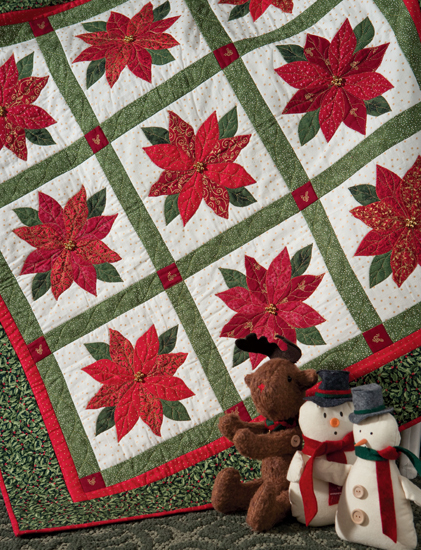 Cheryl's favorite quilting technique is fusible-web applique with a machine blanket-stitched finish. She loves the ease of construction that this technique allows and the design possibilities available with applique. 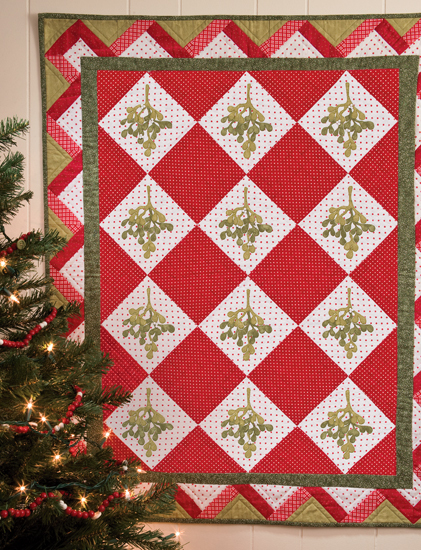 In addition to designing, quilting, and teaching in various parts of the United States, Cheryl enjoys a career in public education and is also a pastor's wife. Download Individual ePatterns from this book!